After many years, Eddie Van Halen has an entirely new merchandise store via Killer Merch. This new partnership not only includes new merchandise items, but for the first time Eddie‘s guitar accessories as well as licensed products. 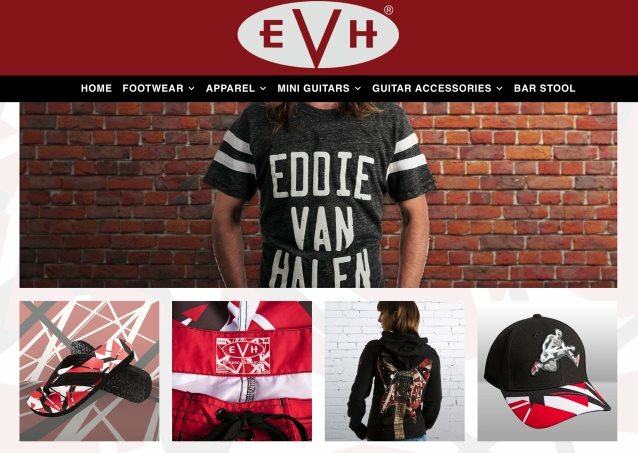 The site will continue to grow with additional apparel, art, accessories and everything EVH, making it a true home for Eddie Van Halen fans and guitar aficionados. The store is now live at www.eddievanhalenstore.com. The final show of VAN HALEN‘s U.S. tour took place on October 4, 2015 at the Hollywood Bowl in Los Angeles, California. Released in 2015 was “Tokyo Dome In Concert”, VAN HALEN‘s first-ever live collection featuring singer David Lee Roth, despite numerous pro-shot concerts from the band’s original heyday being heavily booted for years.